It was all done a bit on the quiet but Clint Oram, CMO & Co-Founder of SugarCRM Inc. posted on the company blog that "Sugar Community Edition open source project ends" back in April this year, ending the company's previous commitment to SugarCRM CE as an Open Source Project. Luckily all is not lost as Suite CRM can be used as a direct upgrade from the last SugarCRM CE release (see here and here). I used the upgrade process to help migrate an old SugarCRM CE 6.5.11 running on an old CentOS 5.8 Virtual Private Server at Rackspace to a new Amazon Lightsail instance running Ubuntu 16.04. Oh and with PHP 7. The Raspberry PI range of IoT devices are very different from the Electric Imp IoT devices I have previously used. The Pi is a full function computer in a very small form factor, particularly the Zero W (with built-in WiFi and Bluetooth). Unlike the Electric Imp. the Pi gives you full access to the Operating System, allowing you to install additional software (although, to be fare, you don't need to add much to what already comes with it). In my case, this only involved adding a Zabbix Agent. Full access to the Operating System does, of course, place a responsibility on you to manage your own security but it does allow much greater flexibility (with the exception of any Analogue to Digital Converters ADC, that is). Being able to install a Zabbix Agent on the Pi adds a couple more possibilities over the Electric Imp setup. Firstly, the Zabbix Agent can be configured in "Active" mode which will push collected data to the Zabbix Server rather than the Zabbix Server polling the IoT device. Secondly, it allows for the usage of a local Zabbix Proxy, this can accept the Zabbix Agent data even if the connection to the Zabbix Server is down, sending data later when the Zabbix Server connection is re-established. In the above example, the Zabbix Proxy is deployed of a pfSense Server which is also acting as a WiFi AP for the Pi. In the above picture the hardware has been put together using a "Breadboard" with fly leads but this could easily be constructed in a case with battery power. As the Pi has no ADC, an external ADC is required, the small blue board at the top (and ADS1115 From Texas Instruments). This is directly connected to the thermal Sensor via one of it's four analogue channels. 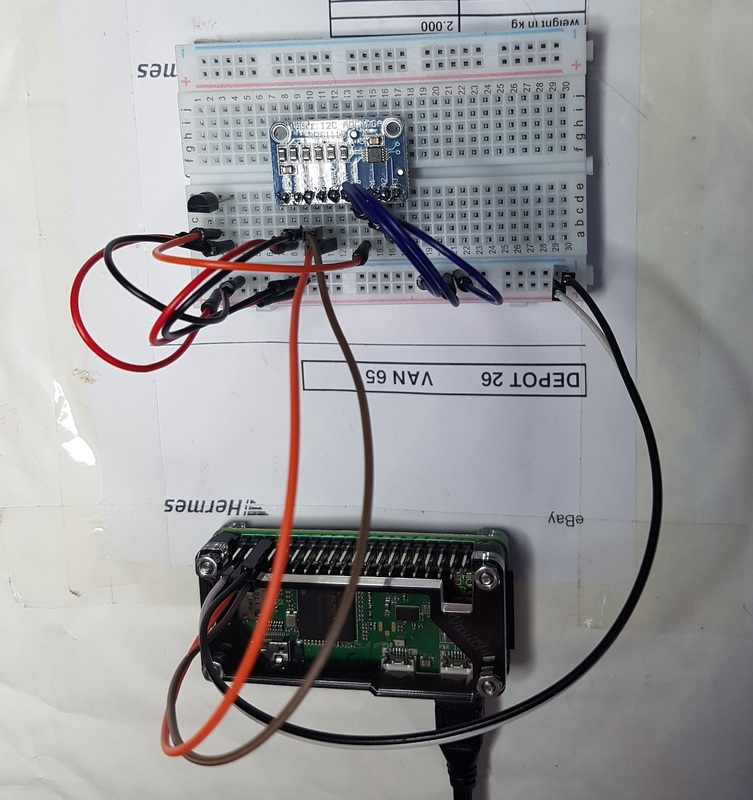 It is connected to the Pi via one of the Pi's I2C busses. 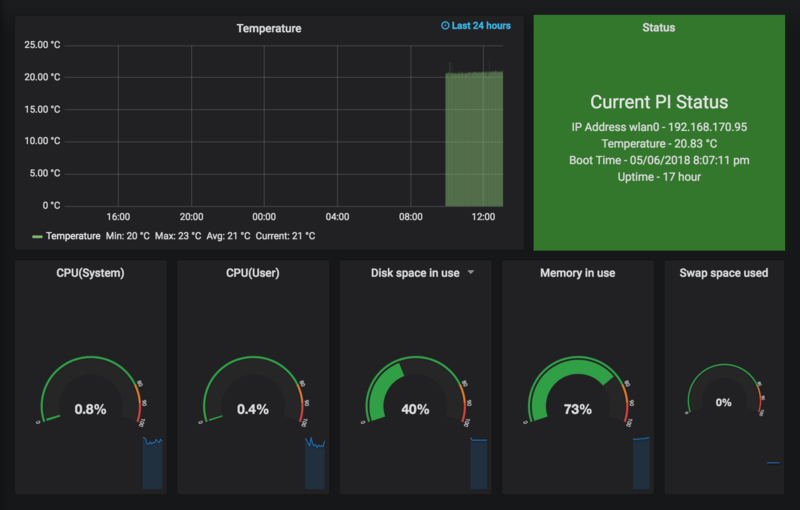 And lastly, the data is passed to a Zabbix Server and presented vi a Grafana Dashboard as below. 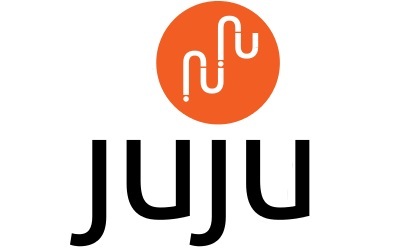 Juju is described as "An open source application modelling tool. Deploy, configure, scale and operate your software on public and private clouds". I was particularly interested in the "Deploy" capability and that it works over a number of different Cloud Hosting providers. My understanding of Juju so far is that it allows you to define groups of applications to be deployed to dynamically expandable (or contractable) groups of Cloud Hosted Servers within containers. It's own controlling application (the "Controller") is also deployed in the same manner. My first attempt to start playing was to try and getting Juju running on my MacBook because it looked like that was possible. You can install Juju itself (brew install juju) and you can connect to a remote Juju Controller (juju register) but trying to use the localhost as a Juju Controller proved difficult. Trying to create a localhost (juju bootstrap localhost) resulted in an error saying that lxd (the container system) was not installed, which it wasn't. Trying to get lxd installed on OSX turned into a bit of a deep Rabbit Hole experience. So I tried bootstraping (juju bootstrap aws) an Amazon EC2 instance as the controller. This was remarkably simple after setting setting up API Authentication on the Amazon EC2 console and then adding the credentials to Juju on OSX (juju add-credential aws). Not wanting to keep an Amazon EC2 instance running while I experimented, I decided to create a VMWare Virtual Machine on OSX to run Ubuntu 16.04 to host the Juju Controller.